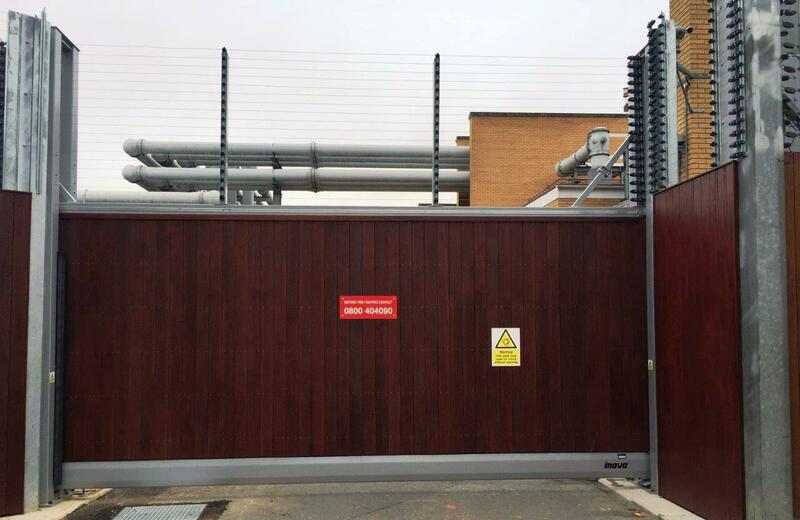 Inova Specialist N.Grid ISS (FAT) Model ESI 10KV Sliding Gate fitted on another National Grid project. This specialist gate has been designed to incorporate an aesthetically pleasing Wooden Infill on the outside with Armour Weave mesh for high security to the inside. In addition to this 10Kv Electric fencing has been added to maximise security on this project. 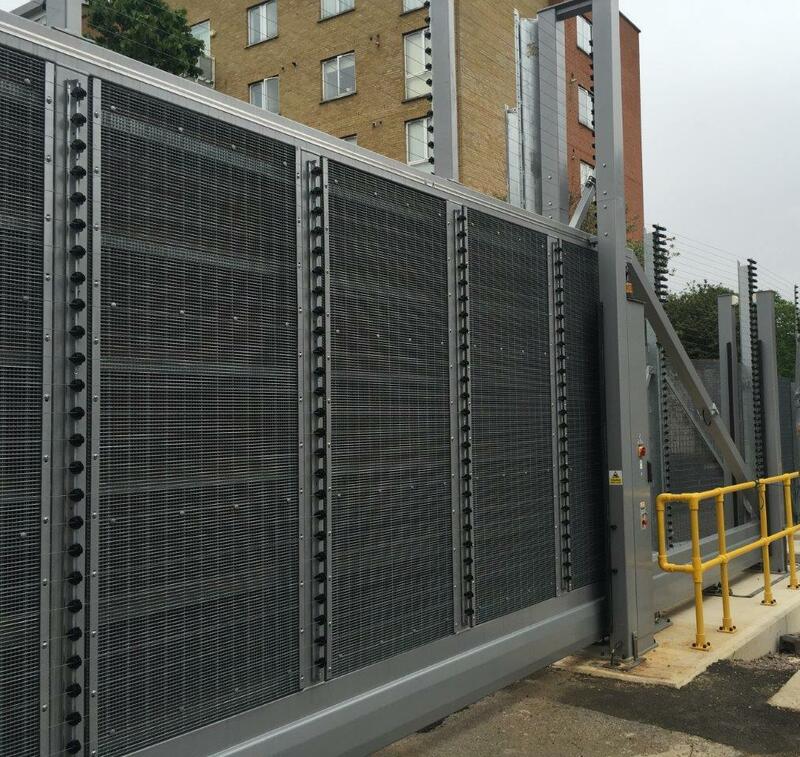 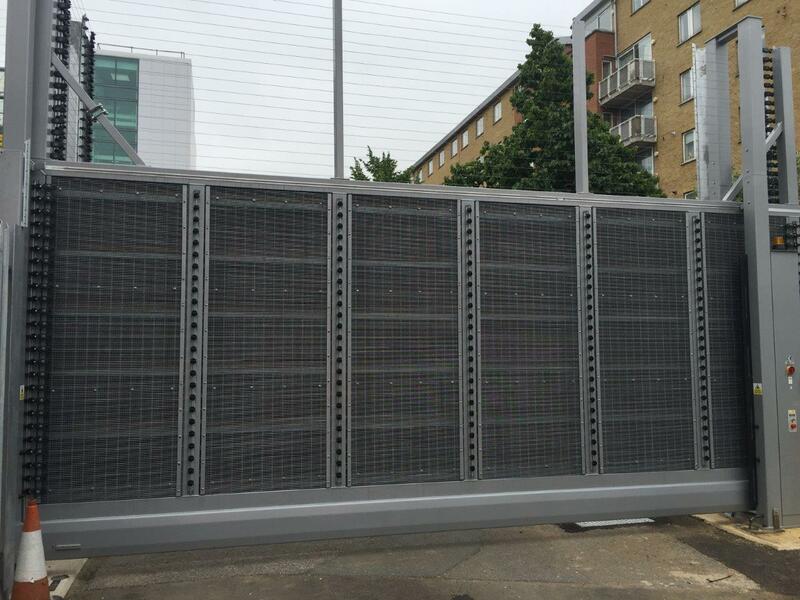 This gate standing 4600mm high with a clear opening of 6000mm finished in a special Inometallic double coating is another example of the award winning Inova gate system being supplied and installed at high profile utilities sites. 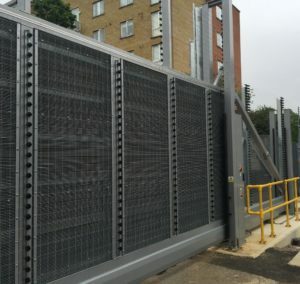 Working closely with the architect and specifiers to tailor a design and application to suit the individual needs and requirements of specific sites and risks allowing us to adapt bespoke infill’s to the gate unit and third party integration into the overall system.